A Premiere Door Company We at Door 2 Door are committed to providing the owner, architect, designer, general contractor, and homebuilder alike with the best in materials and service. We can manufacture to the Historical District requirement. We will work closely with you from start to finish. There is no job too small or large. We offer free estimates and delivery. We provide windows, doors, moulding, stair parts, mantles, locksets, columns and anything else you might need for your residential or commercial needs. Quality, professional door refurbishment and refinishing to restore your front door to give a lasting first impression. Our unique process using the most hardwearing wood finishes enables you to have a beautiful front door that will withstand the elements for many years to come. 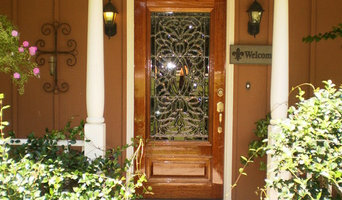 At Jerry's Custom Refinishing we specialize in refinishing wood front doors and exterior doors. We also repair and install new doors with a free in-home consultation for new door purchase and installation. 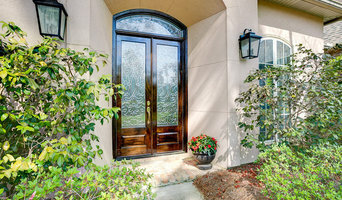 With more than ten years refinishing wooded doors we are your trusted front door refinishing company in Metairie LA. Call or go online today to schedule your estimate or repair. From refinishing front doors to installing sliding glass exterior doors Jerry's Custom Refinishing is your door company. Renaissance Doors is growing and we invite local customers to enjoy our enhanced product line. In January 2011, Renaissance Doors moved to our current location in Harahan which boasts a 5,000 square foot showroom and warehouse. Since our move and expansion we now offer more products and styles. We take pride in offering you materials at a great value to suit your particular need. In addition to doors, we also sell hardware, windows, stair parts columns, decking, rails, and moulding. We have a large selection of in-stock mouldings at discounted prices. We understand the importance of project requirements and restraints which is why a large portion of our customer base is attributable to contractor referrals. Our emphasis is providing you, our customer, with the best possible service. We welcome new clientele and we look forward to earning our next referral. For nearly sixty years, LAS Enterprises has been supplying the home improvement needs of the Gulf Coast region. Committed to creative engineering that marries both form and function, we have been custom manufacturing and hand-assembling vinyl replacement windows and storm protection products for over a decade. Designed to enhance the beauty and charm of your home with the finest architectural finishes available, our shutters and replacement windows are designed and assembled in our Louisiana production facility, installed by LAS employees and fully warranted. 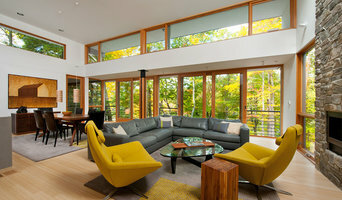 Installation Service, Installation of Residential Doors, windows, attic stairs. New Orleans Millworks, LLC is a locally owned and operated business established in the city prior to Hurricane Katrina in 2001. 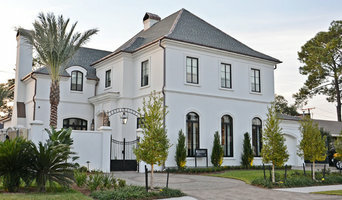 At New Orleans Millworks, we are dedicated to bringing back the history and spirit that has defined New Orleans as one of the greatest architectural treasures in the world From a homeowner needing a few simple repairs to major contracting work, New Orleans Millworks takes on projects of all types. We pride ourselves on our cratsmanship as well as our customer service. When we say we will be there, we mean it. With our stable of skilled carpenters, we have excellent and unbeatable turn-around times. If you need a special custom made quickly piece that the rest of the work depends on, we'll have it ready for you. New Orleans is a difficult city to find that right company to get the job done. We coordinate all our projects with our customers and other vendors to ensure everything is done the right way. If looking at all the different styles, materials, types and sizes of doors makes you feel like you’re lost in a labyrinth of locked doors, then don’t despair; New Orleans, LA door manufacturers and door suppliers are available on Houzz to help design, build and install all sorts of doors. You can find photos of their previous work, reviews, recommendations and ratings from clients, and contact information so you can speak directly to any New Orleans door makers you find that you think can help with your project. You might find that your door suppliers or manufacturers can help with your window frames, garage doors or other contractor work, or they may be able to put you in touch with other professionals they work with regularly. Here are some related professionals and vendors to complement the work of doors: Cladding & Exterior Contractors, Garage Doors, Home Builders, Design & Build, Artists & Artisans. For external doors, it’s usually advisable to go for something durable and insulated. Composite door manufacturers in New Orleans, LA will make doors from a number of materials, usually wood inside and a more protective outer layer, so they are versatile and well suited to being used as back or front doors. You can choose from stable doors, panel doors, half-glazed doors or doors with intricate stained glass panels, in all sorts of colours and stains, and, if well-fitted, your composite door will still stand up to any weather. It’s always advisable to talk to your local New Orleans, LA door suppliers about the different materials, styles and types of doors on offer so they can tell you in more detail the advantages and suitability of all the doors you’re looking at. Door manufacturers can help with more than just your front door and internal doors - if you have a garden, there are a number of options for accessing it. Large glass doors can be really dramatic and bi-fold doors are a popular choice at the moment because they can completely disappear and open up a room to the outside. If you don’t quite have the budget to install bifold doors, patio doors or french doors can still bring in lots of light from your garden into your home. Talk to New Orleans, LA door makers about what they think could work for your home renovation project. Why should I hire New Orleans, LA door manufacturers or specialists? Find door suppliers and makers on Houzz. Look in the Professionals section of our website and search for New Orleans, LA door manufacturers and suppliers. Read reviews, look at project photos and see how a door professional can help your New Orleans, LA home improvement project.